EPC “Ingehim” (EPC “Inzhekhim”, as in some older unofficial documents and affiliations in scientific publications of our employees) offers spiral-wound filters for removal of solid particles from liquids and gases. The filters are equipped with our own in-house filtering elements. The filtering element developed by EPC “Ingehim” is essentially novel and has unique characteristics. Its filtering surface is formed by a metal tape wound into a cylindrical spiral. The tape is profiled and fabricated in the form of trapezoidal waves; height of waves increases from the outer diameter of the cylindrical filtering surface toward its internal diameter. When winding a tape, adjacent layers rigidly lean on each other at the waves’ lateral surfaces, providing the required fixed gap between adjacent layers of the tape. Manufacturing is already mastered for filtering elements of outer diameters 80, 90 and 115 mm for filter fineness ranging from 10 to 500 microns. At that, the used tape is made of stainless steel or titan 150, 200 and 250 microns thick and 6 mm wide. For filtering the aggressive media, filtering elements can be also manufactured using corrosion-resistant steel grades. – Large relative free cross-section. For example, when using a filtering element of diameter 115 mm for ensuring the filter fineness 100 microns, the relative cross-section exceeds 41%. 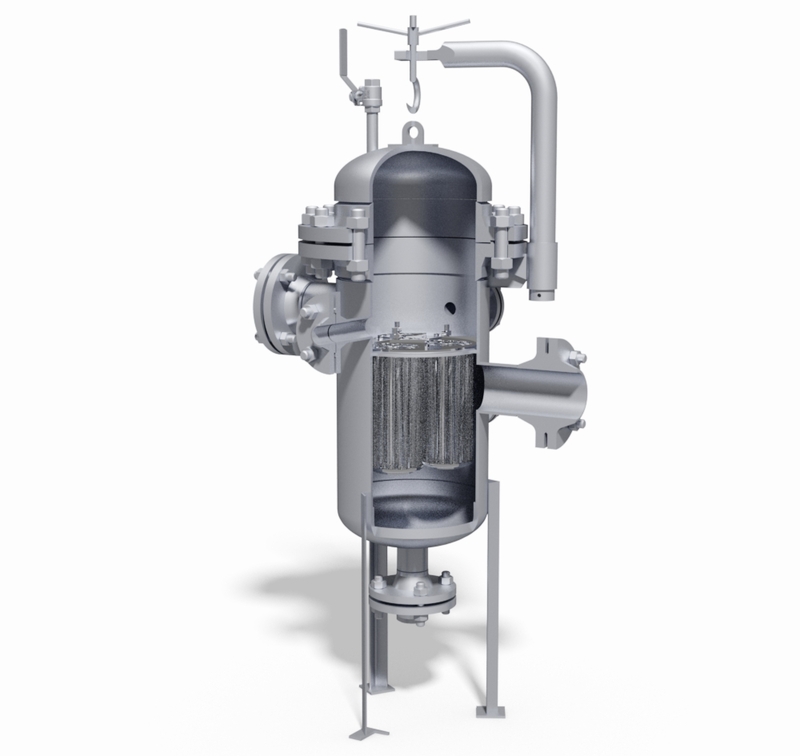 This allows reducing the length of filters used in oil wells by several times for ensuring the required filter capacity or to increase by several times the required capacity of a filter of a fixed length. – Ability to withstand high pressure differentials. Being placed in a rigid metal framework, such filters maintain their properties even at pressure differentials of several tens of bars. This allows effective regeneration of filtering elements by using intensive back washing. – Ease of forming a filtering surface. The filtering surface is formed simply by simultaneous winding a metal tape and molding of trapezoidal ledges into a cylindrical surface. It provides rather high productivity of filter manufacturing equipment and almost zero metal wastes at manufacturing. A declaration of conformity with the Technical Regulations of the Customs Union was granted to the EPC “Ingehim” filters and filtering elements. EPC “Ingehim” is ready to design and manufacture spiral-wound filters of a wide range of capacities and filter finenesses to technical specifications of the Customer. To order our filters, please, provide us with all requirement specifications for the filters through e-mail.